I am very puzzled by the whole episode with Bigtan and Teresh (Esther 2:21-23). What exactly made them so mad that they wanted to kill the king? The gemarah (megillah 13b) says they were complaining of not getting any sleep because the king was sleeping with Esther every night. Which I assume means their job was to guard the door? So on a night that the king didn't sleep with the queen they weren't guarding the door? Do they not get to sleep during the day? And if their job was to guard the door how were they planning on poisoning the king? Wouldn't the king summon some other servant to bring him food and drink? 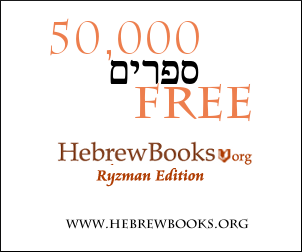 see Pirkei D'Rebbi Eliezer 50 for full description of their plot. The basic answer is that because the king was sleeping with Esther so often he became thirsty very often so they were constantly having to bring him water and then later bring him his lavatory. See Rashi's comments on Megillah 13b. It was their job to both guard the door and supply any of his needs during the night. When he wasn't sleeping with Esther they just guarded the door, but now that he was sleeping with her their workload increased significantly. Since their job was to both guard the door and provide for the kings nighttime needs they were able to have one person slip off to get poison while the other did double duty. See the Ben Yehoyada on the above cited gemarah who goes into great detail of the problem and how the plot was detected. The Targum to Esther 2:21 says that Bigtan and Teresh were jealous of the many honors given Mordechai by Esther, and worried that they would be replaced by him. Not the answer you're looking for? Browse other questions tagged megillat-esther malchut-royalty murder .